Nations Press feature news Breaking: Santiago is in the ICU! Breaking: Santiago is in the ICU! A statement from her public affairs team said on Wednesday that Santiago was rushed to the hospital by ambulance last Monday and she is in the intensive care unit (ICU) of Makati Medical Center due to complications from her advanced lung cancer. Narciso “Jun” Santiago,”her husband said that the senator was transferred from her private room at the Makati Medical Center to the ICU on Tuesday night. Miriam is doing well with her trademark sense of humor,he added. Visitors are not allowed and that gifts to the senator will not be accepted. Gifts, such as flowers and other blooms, won’t be accepted,Jun said. The senator also extended her gratitude to her family, friends, supporters, fans and others who helped her pray for her recovery. 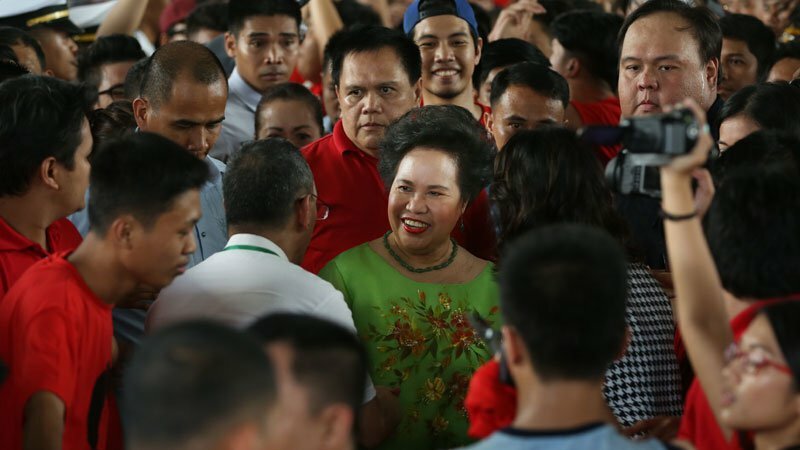 Santiago, who lost her third presidential bid last 2016 elections, extended her medical leave due to anorexia, a side effect of one of her anti-cancer treatments.